The leaves turning yellow on your tomato plants is not a good sign. Determining the cause can be confusing. 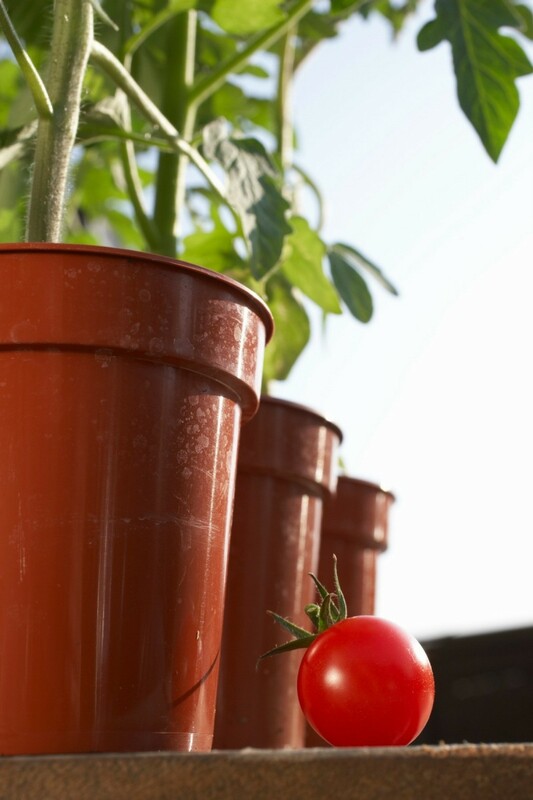 This is a guide about tomato plants leaves turning yellow. I am not sure if it's a disease or what? Not all my tomatoes' leaves are yellow. They are brown at the end of the leaves, too. You need some Epsom salts in it. On the package are instructions. Or google epsom salts. Have used this for years. Also, clean up your bottom of the plants. They need air space. Good rule of thumb is nothing closer than 10 inches from the ground. Remove all plant materials. Both these suggestions also take care of bottom rot from tomatoes too. OH, never splash water on your plants. They prefer being watered by laying the hose on the bottom dirt. Gentle flow rather than hurried spray. Rain water is different. That comes anyway and washes the plants. Hose water is not the same as rain water. It is my belief that what you are describing is Tomato Blight. It is a disease which can turn all the leaves yellow, then brown. Interestingly enough, it doesn't seem to affect the fruits. It's almost impossible, at least for me it was, to do anything like apply this or that and fix the issue. Like someone else said, if its a pole variety, pull off all the lowest branches until you come to one with fruit. I like to keep my stalks bare up to a foot from the ground. That usually takes most of the brown leaves off. Water Tomatoes regularly, they don't like overwatering or underwatering. But a good deep watering once a week, followed by regularly checking the dryness of the soil, there is no one set formula. I find, that once you have blight, you always have blight. I switched to blight resistant seed and have noo issues for the past 2 years. What would make my tomato plants leaves turn yellow? I am growing them in a Topsy Turvy Tree. I don't even have any tomatoes on them yet. My hanging tomatoes are looking good, but some of the leaves are yellowing. What am I doing wrong? We are having problems with the leaves turning yellow on our tomato plants. I just added cow manure to the plants today. Is this okay to do, and will it help? I purchased a Roma tomato plant that is about 12 inches high. It had thick, green foliage Memorial Day weekend. It is on my deck and now some of the leaves are turning yellow and brown and curling, mostly on the bottom. It looks like they are dying in places. My daughter and neighbor said it is getting too much water. We have had quite a rainy season, but I am wondering if it is something else. I moved it to my front porch and it was even worse. I watered it and it looks better. It perked it up, but do I break off stems or leaves? It has been really hot also. It does have blossoms and the tomatoes are also coming on. Any suggestions? Why do my tomato plants leaves turn yellow? I've read that the reason they turn yellow is because the soil doesn't have enough nitrogen which is what makes the plant green. What would make my tomato plant's leaves turn yellow? I have a small greenhouse that I start over 400 tomato plants in for sale. This spring we have had some pretty nasty weather and some warm days too. Has anyone had any problems with tomato leaves turning yellowish-brown and dying? Its growth seems to be stunted too. Thanks for any help. 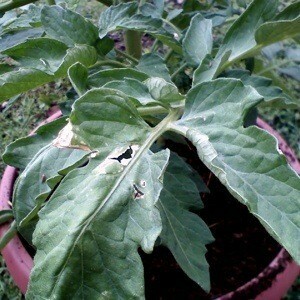 My problem is that our tomato leaves are turning yellowish brown around the edges. Also on some of them the tops have died out. They are not looking like they are going to survive. What is causing this and what can I do about it? Can someone tell me why some of the leaves are turning yellow on my patio tomato plant? Why are the leaves on my tomato plants turning yellow and the flowers will not set? What causes yellow leaves on tomato plants? I have trouble every year with the leaves turning yellow on my plants. This is even before the tomatoes grow or turn red.